Pretty much everyone wants an easy way out when it comes to marketing. The process is so long and arduous that sometimes you want a quick fix that can get the job done so that you can instead focus on things like product development and the expansion of your brand. One of the newest features that Google has launched could definitely make marketing a little easier. 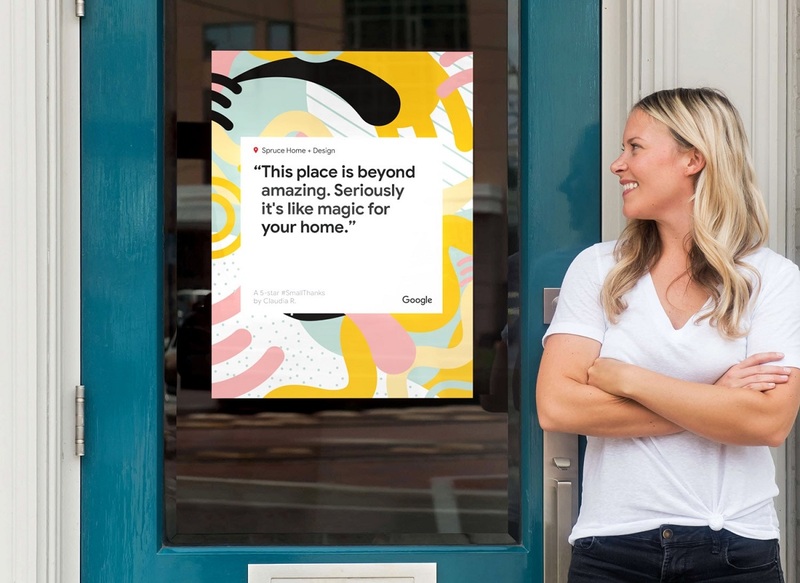 If you use Google’s marketing hub, Small Thanks, you would notice that it has started offering some social post templates that you can use. These social posts are essentially a way for you to spread the word about what your customers thinks about the products and services that you are offering. While the primary purpose of this new feature is to showcase the positive reviews that you are getting for your products and services, there are a lot of other ways in which these social post options can be used as well. For example, you could use them to talk about the details of your products and services. You need as many different avenues to talk about your products as possible, so it is essential that you try and look for new ways in which you can get your message across. "It’s important to grab the attention of shoppers online, even if you’re a local business. Last holiday season, 78% of shoppers who visited a store turned to online search first. ", explained Soo Young Kim, Small Business Outreach expert at Google, in a blog post. Adding further, "Show those potential customers that you meet their needs by sharing a social post from Small Thanks that highlights your business's unique attributes—such as gift wrapping services or a kid-friendly environment. That way, you'll be on their radar when they're ready to shop.". While these new social posts may not be a game changer for the world of marketing, it does give you one more option and sometimes that is all you need to start seeing a jump in the positive responses you start seeing from the customers that you are getting for your products and services. The social posts are quite aesthetically pleasing too which gives you another reason to try them out, if for no other reason than to stay up to date with Google’s offerings.